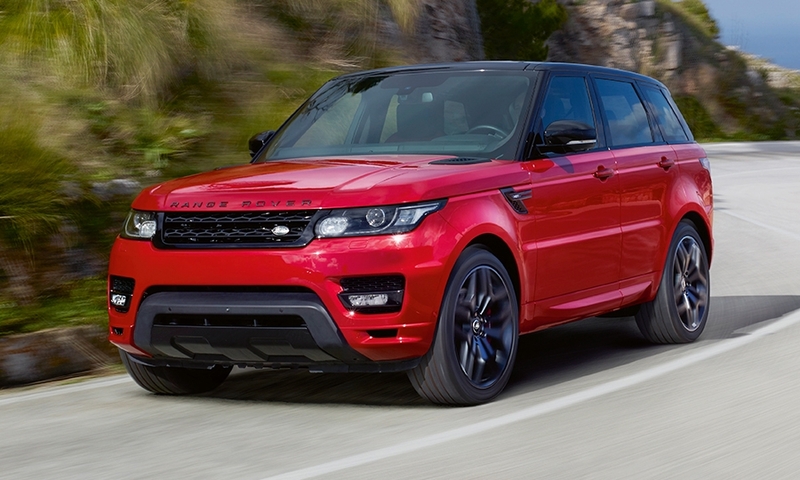 The high performance Range Rover Sport gets an upgraded 380-hp 3.0-liter supercharged V6 engine that sits between the 340-hp Range Rover Sport 3.0-liter supercharged V6 and the 550-hp supercharged variant. The Range Rover Sport HST gets smoked head- and taillights, a black roof and new roof spoiler, giving the SUV a menacing look. The HST will have Land Rover's new Hands-Free Gesture Tailgate as an option, and include Automatic Access Height as a standard feature. The system automatically lowers the vehicle to make for an easier entry and exit for occupants.